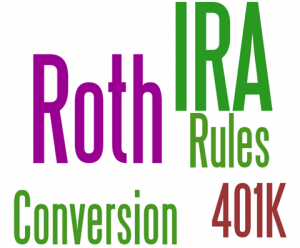 It turns out you can go back after all – at least when it comes to last year’s decision to convert your traditional IRA to a Roth. The question is… do you want to? Re-characterizing your Roth conversion lets you go back in time, as if the conversion never happened. You’ll have to act soon, though, because the window for undoing a 2012 Roth conversion closes October 15, 2013. Before that date, you have the opportunity to undo all or part of last year’s conversion. After October 15, you can change your mind once more and put the money back in a Roth. That might be a good choice when you’re re-characterizing because of a reduction in the value of the account. Just remember you’ll have to wait at least 30 days to convert again. Give us a call for information on Roth re-characterization rules. We’ll help you figure out if going back is a good idea. On 10/07/2013 / Retirement Plan Contribution / Comments Off on Have You Changed Your Mind about a Roth Conversion?